From now till 31 December 2019,Standard Chartered / MANHATTAN Credit cardholders1 can enjoy 12-month interest free instalment offer2 and other privileges upon the purchase or renewal of Magic Access Membership Card / Certificate. Children below 3 years old receive free park admission. Prices and block-out dates are subject to change without prior notices. ± Free parking for Platinum/ Gold Card Members. Silver Card Members may enjoy HKD40 off on parking for private cars or HKD15 off on parking for motorcycles at the Auto Plaza between 8:30 AM to 2 hours after park closes. Members are required to present their valid Membership card while aboard and upon entry to the Auto Plaza. Subject to availability and Benefit Limits. Hong Kong Disneyland may from time to time restrict use of the car park or any part of it without prior notice, refund or compensation due to capacity, inclement weather or special events, to ensure safety, security or order, or if Hong Kong Disneyland considers that the circumstances so require. This benefit is valid for Magic Access membership cards purchased or renewed on or before July 31, 2019. ± ± Eligible Members may enjoy parking benefit at the Auto Plaza between 8:30 AM to 2 hours after park closes. For Magic Access membership card purchased or renewed from August 1, 2019, parking benefit is available to Adult, Student and Senior Members only, subject to the following limits: Platinum Card Members may enjoy free parking. Gold Card Members may enjoy this parking benefit for free on up to 24 days per calendar year, and for each subsequent use of the Auto Plaza, at HKD40 off the prevailing parking charge for private cars or HKD15 off for motorcycles. Silver Card Members may enjoy HKD40 off the prevailing parking charge for private cars or HKD15 off for motorcycles. Parking benefit is not available for Child Members of any tier. Members are required to present their valid Membership card while aboard and upon entry to the Auto Plaza. Subject to availability and Benefit Limits. Hong Kong Disneyland may from time to time restrict use of the car park or any part of it without prior notice, refund or compensation due to capacity, inclement weather or special events, to ensure safety, security or order, or if Hong Kong Disneyland considers that the circumstances so require. **Platinum / Gold Card Members are entitled to obtain 1 additional FASTPASS ticket at FASTPASS attractions listed on the Park guidemap. Subject to availability and Benefit Limits. ^ Additional Member-exclusive benefit is subject to availability and Benefit Limits. For details, please refer to www.hongkongdisneyland.com. # Effective from January 1, 2019, Silver Card Members with five or more visits to the Park during each membership year may redeem one complimentary admission ticket to the Park within 30 calendar days from the 5th visit to the Park. Complimentary admission ticket may be redeemed at Ticket Booths at the Main Entrance by the Member. The complimentary admission ticket admits the Member only and is valid on the day of redemption (whether or not such date is a block-out date of Silver Magic Access) but not on other dates. Admission to the Park using the complimentary tickets will not be counted as an eligible admission in the “Magic Milestone” Reward Program. Each eligible Silver Card Member may redeem maximum one complimentary admission ticket in each membership year. Magic Access is subject to Terms and Conditions, member benefits are subject to change without prior notice. For more details of Magic Access, please visit www.hongkongdisneyland.com. Applicable to Standard Chartered Mastercard / Visa card and its Co-branded Mastercard/Visa card, MANHATTAN Mastercard / Visa card and its Co-branded Mastercard/Visa card. The minimum amount per transaction is HKD500. Designated Standard Chartered credit card and its co-branded card refer to Standard Chartered Visa card, Standard Chartered co-branded Visa card, Standard Chartered Mastercard and Standard Chartered co-branded Mastercard. The minimum amount per transaction is HKD500, please refer to the following terms and conditions for more information. This offer is valid till 31 December 2019. To be eligible for the Hong Kong Disneyland (“Park”) 12-month interest-free instalment offer for purchase of Magic Access Membership Card / Certificate / Renewal, Cardholders are required to settle the payment with Standard Chartered Mastercard/ Visa card and its Co-branded Mastercard/Visa card, MANHATTAN Mastercard/ Visa card and its Co-branded Mastercard/Visa card. (except Standard Chartered Business Card and Standard Chartered Corporate Card) by Standard Chartered credit card Interest Free Instalment Program. This offer is applicable to the purchase of Magic Access Membership Card / Certificate / Renewal. By participating in any of the instalment programme, Cardholders are deemed to have accepted and bound by the terms and conditions of “Credit Card Instalment Programme Cardholder Agreement”. This offer is applicable to new Magic Access Membership Card/ Certificate/ Renewal purchase, but not to ticket upgrade or purchase of any other types of ticket(s) or Disney product(s). Cardholders who wish to enjoy the 12-month interest free instalment offer must make such request at the time of purchase. Approval or otherwise of any payment transaction with Applicable Credit Card is subject to the terms and conditions of Standard Chartered Bank (Hong Kong) Limited (the “Bank”) and Hongkong International Theme Parks Limited does not accept any liability for any failure or delay on the part of the Bank in approving the payment transaction. No change to the payment mode can be made after the purchase transaction is complete. 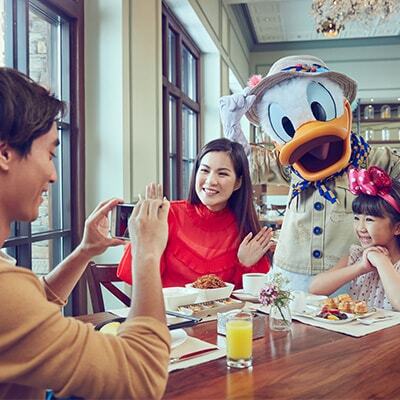 This offer is applicable to Magic Access Membership Card/ Certificate/ Renewal purchased at the Main Entrance of the Park , Hong Kong Disneyland Hotel, Disney Explorers Lodge and Disney’s Hollywood Hotel only (not applicable for online purchase). The minimum amount per transaction for this offer is HKD500. This offer cannot be used in conjunction with any other promotion or discount offers. Magic Access Membership Card or Certificate is issued subject to the Magic Access Terms and Conditions and the Rules and Regulations of the Park which are set out in the website at www.hongkongdisneyland.com and printed on the Park Guidemap. Copies of the Park Guidemap are available at ticket booths and Guest Relations locations. Magic Access Membership Cards are non-transferable, non-exchangeable and non-refundable. This offer is made in accordance with the laws of the Hong Kong Special Administrative Region of the People’s Republic of China (“HKSAR”) only. This offer may only be redeemed in the HKSAR in person by Cardholders in accordance with these terms and conditions. 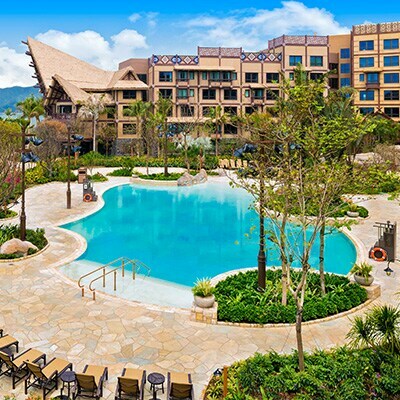 Hongkong International Theme Parks Limited makes no representation that participation in this offer is appropriate or available in other locations and this offer is void in any jurisdiction where participation in such an offer is prohibited or restricted by law. Those who choose to participate in this offer do so on their own initiative and are responsible for compliance with local laws, if and to the extent they are applicable. These terms and conditions shall be governed by and construed in accordance with the laws of the HKSAR. These terms and conditions are subject to the interpretation of Hongkong International Theme Parks Limited which shall be final and conclusive. Cardholders understand and accept that the Bank is not the supplier of the products/services purchased. The Bank shall have no legal liability relating to any aspect of the products/services, including without limitation, their quality and the supply. The Bank and Hongkong International Theme Parks Limited reserve the right to alter or terminate the above offers and amend the terms and conditions at any time. All matters or disputes will be subject to the final decision of the Bank. If there is any inconsistency or conflict between the English and Chinese versions of these terms and conditions, the English version shall prevail for all purposes.